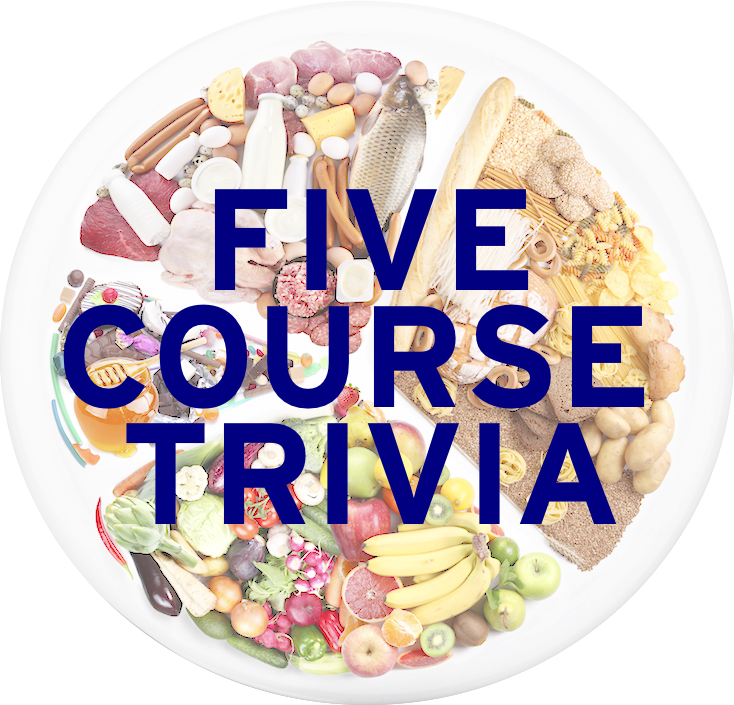 A new week, and a new vegetable we haven’t asked about on 5CT. Seems that garlic has missed being a topic, despite being hard to miss. Here are those pungent questions. Enjoy! 1. Daube, a stew of beef braised in wine and with vegetables and garlic, is typical of the cuisine of what European region? Dishes in this region are typically made with tomatoes, garlic, and olive oil. 2. Although associated with a different country, what dish pictured here takes its name from the Portuguese for “meat in garlic wine marinade”? 3. You should get your hands on what dish shown here, popular eastern Canada and Wisconsin? 4. During the Middle Ages, what city was the site of the creation of agliata, a garlic sauce that eventually became pesto? 5. Often seen in French, Cajun, and Quebecois cuisine, what sauce is made of parsley and garlic, and often used atop chicken or oysters? 6. Although China leads the world in garlic production by far, the US ranks 10th in garlic producing countries. What California city and “garlic capital of the world” is the hub of garlic production in the US, which is home to an annual July festival? The city name is also the surname of playwright Frank who wrote the Pulitzer and Tony winning 1964 play “The Subject Was Roses”.